Bruce grew up in Philadelphia, the 2nd of 12 children. Both his mom and dad were alcoholics and abusive. In spite of that, “my dad was a hard-working man. He had dreams; he wanted to become an entrepreneur and open his own stores,” Bruce explained. At the age of 17, Bruce’s mother passed away. He was in the penitentiary at the time for gang-related violence, but he still remembers that his father was driven to drink even more and stopped caring about the rest of the kids. “They all hit the streets,” Bruce recalled. But in 1977, Bruce was released from the penitentiary and, the next year, got married. He earned his GED, got a good job working for the Salvation Army, and began to pursue his dreams. “But I never got a chance to fight the demons inside me,” Bruce said. “My wife and I started drinking and partying, which led to us both becoming alcoholics. Then I started snorting cocaine.” By the 1990s, Bruce turned to crack-cocaine and his life spiraled out of control. Meanwhile, Bruce’s father had decided to get sober around 1977. 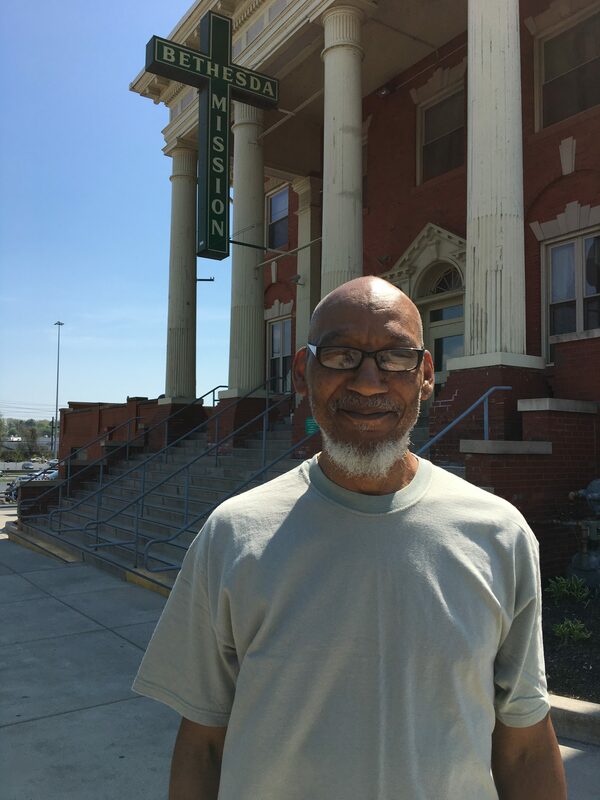 He realized that the only way he would be able to do that successfully, was to move away from Philly, so he came to Harrisburg…to Bethesda Mission. On top of that, “Dad’s dreams started coming true,” Bruce continued. “Dad opened up a store while working for the Mission.” Eventually, he opened up one for each child! In fact, that was how he persuaded each of them to move to here — he’d open up a grocery store, then give it to one of his children to run. Finally, when Dad promised Bruce a sub shop, Bruce moved his wife and three kids to Harrisburg. For the next two years, Bruce stayed clean while running his sub shop. Being busy was good for him. But, complacency and old temptations set in, and he began to get high again. “Dad noticed and suggested that I come to Bethesda around 1990, but I didn’t want to get clean yet,” Bruce explained. Bruce’s dad passed in 2000. I share Bruce’s story with you in honor of Father’s Day this month. Your gifts have made stories like this one possible. Please consider supporting Bethesda Mission this month — your prayers, encouragement, and support truly make all the difference.